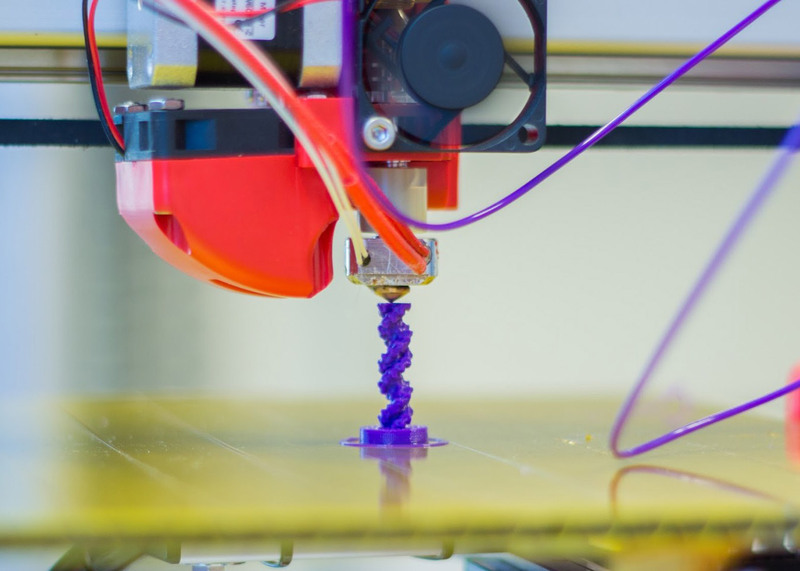 A team of scientists has published a study that details the health hazards of 3D printing in enclosed spaces, which it says causes the release of toxic and carcinogenic particles. The study – conducted by a group of scientists at the Illinois Institute of Technology – tested five major brands of 3D printers including the Makerbot Replicator 2X and LulzBot Mini. The researchers were looking for two things: the level of ultra-fine particles emitted by the printers, and the level of dangerous volatile organic compounds emitted from heating plastic. The results show that typical desktop 3D printers emit particles and compounds during printing that federal agencies say could cause cancer or other ailments. "We were prompted to study this back in 2013 when a student in my class was curious about odours emanating from 3D printers operating in his office," Brent Stephens told Co.Design. "A good chunk of printers and filaments that are out there we really should be worried about," he told the Chicago Tribune. "I think the way people are introducing these into schools and libraries, that's what should drive some of the concern." The problem – according to Stephens – is that the ultra-fine particles emitted by the printers often aren't regulated. The report outlines the rapid increase in popularity of 3D printers, and notes that the emission of gases and particles during the process is well known. However – according to the team – little is known about the types and magnitudes of emissions from 3D printers, or how they vary according to filament material or printer characteristics. "We first conducted a pilot study of ultra-fine particle emissions from just one type of printer with only two types of filaments, and then once we realised that those could be quite high, we figured that they were also emitting gas-phase pollutants as well," said Stephens. For all tests but one, the team printed a standardised file from the National Institute of Standards and Technology. The file had a range of features that were thought to potentially influence printer emissions, including a combination of solid volumes, thin protrusions, holes and indentations. Each of the five printers tested, including FlashForge Creator, Dremel 3D Idea Builder, XYZprinting da Vinci 1.0, MakerBot Replicator 2X, and LulzBot Mini, spent between two and four hours printing out the sample object. A particle counter tallied the number of ultra-fine particles pumped into the airtight room, while also sampling air quality. More than a dozen materials ranging from ABS plastic – the same material used to create lego blocks – to clear polycarbonate were tested. The results showed that the level of harmful particles and fumes depended mostly on the filament material, not the make of printer. ABS emitted styrene – a chemical that is both toxic and carcinogenic. Other materials based on nylon gave off caprolactam particles, which are linked with other non-life threatening health problems. The PLA filament emitted a benign chemical named lactide. Many companies are already looking into non-toxic printing materials for consumers, but until then, the paper's authors write: "we continue to suggest that caution should be used when operating many printer and filament combinations in enclosed or poorly ventilated spaces or without the aid of gas and particle filtration systems."